The Radeon Nano's price cut transforms it from a pricey niche option to a much more widely appealing graphics card. 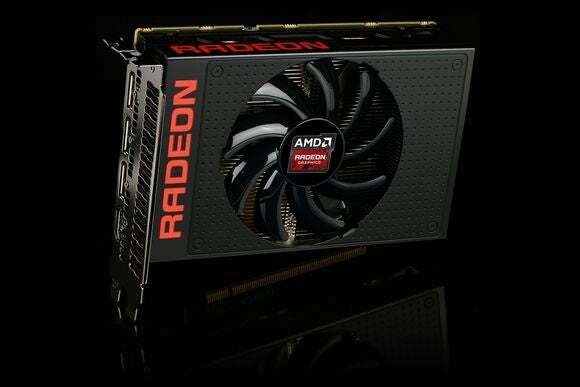 There’s no doubt that AMD priced its diminutive Radeon R9 Nano graphics card at a premium when it finally hit the streets late last year at $650. And rightfully so; as the first and only mini-ITX graphics card capable of satisfying 4K and 1440 gameplay thanks to the potent combination of AMD's Fiji GPU and revolutionary high-bandwidth memory, the Nano delivered very tangible benefits to a very niche audience. But this forward-thinking card’s just-as-unique cost may have been a bit too niche, as Monday morning, AMD announced that it’s slashing the Radeon R9 Nano’s price to $500, effective immediately. That instantly makes AMD’s tiny terror a much more intriguing proposition for a far wider range of PCs. Its performance fell just below the $550 Radeon R9 Fury’s level, but north of the $480 GeForce GTX 980 (though the scales can tip back in Nvidia’s favor with pricier overclocked GTX 980 variants). At $650, the Radeon R9 Nano only appealed to people who wanted full firepower in a mITX build that couldn’t fit a full-sized card. At $500, the Nano’s sitting pretty at the appropriate spot when it comes to price-to-performance, which could help spur adoption for a premium card that feels like a harbinger in a world increasingly focused on cramming full PC performance into ever-smaller cases. The story behind the story: AMD deciding to cut the price of its most recent Fiji-based Radeon card is interesting indeed—especially because the $550 R9 Fury and $650 R9 Fury X didn’t see a cost slashing. The now-$500 Radeon Nano barely lags behind the $550 Fury in terms of performance, and it does so at a significant power savings and size reduction. The Fury’s little brother might just eat into its sales now that the Nano’s priced more competitively.